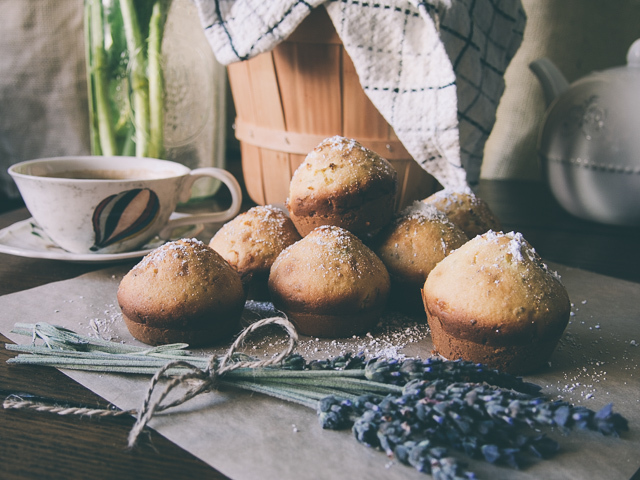 The other day we got a bit of a break from the heat and a hint of cloud coverage, so Greta from Glasswing Floral and I cozied up and made a batch of delicious lavender and lemon muffins. You might remember Greta’s stunning flowers from our How to Make a Beautiful Mother’s Day Bouquet and How to Make 4 Beautiful Mother’s Day Bouquets in DIY paper bag vases. She does the most gorgeous arrangements, and this day she brought over a fresh bouquet of lavender. You can fill your feed with blooms by following Glasswing Floral on Facebook, Twitter, and @GlasswingFloral on Instagram. We started making these muffins by following Jacinda’s Rick’s Rich Jam Muffins Recipe. We didn’t fill the centers with jam, but I think I will definitely try filling them with lemon curd next time. You can learn how to make homemade lemon curd by checking out our Strawberry Basil and Lemon Basil Hand Pies Recipe. 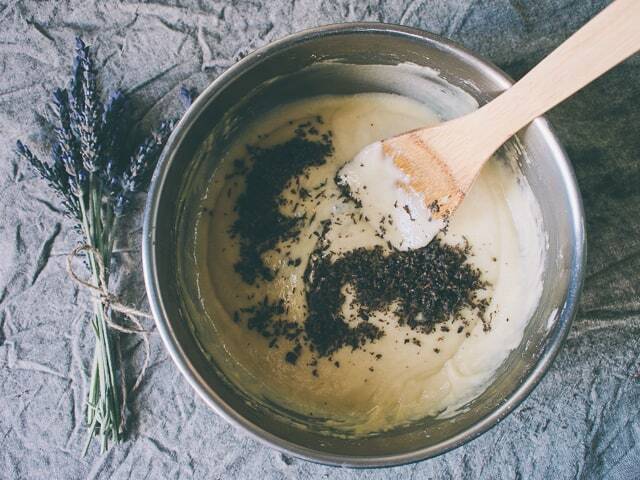 Once you’ve mixed everything together, sprinkle about 3 tbsp to 1/4 cup of chopped lavender into the batter. 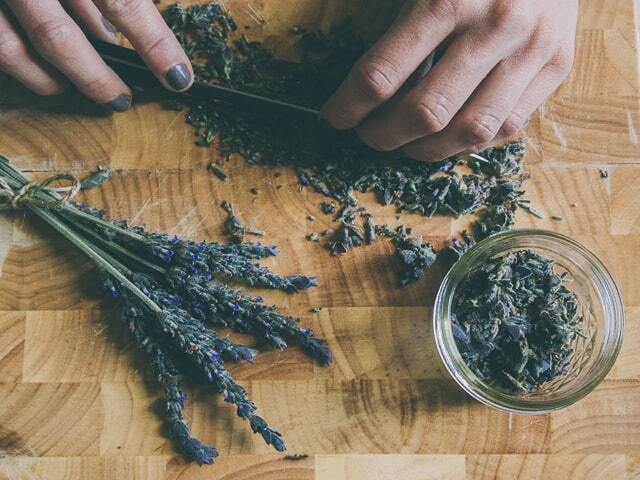 We used fresh lavender, but you could also use dried lavender. 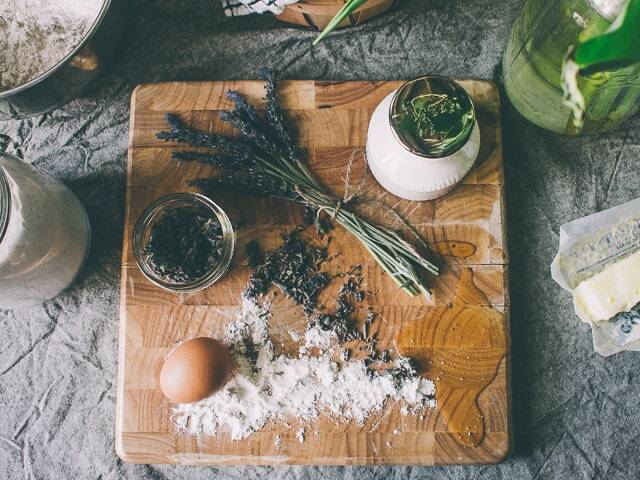 You can use more or less lavender, depending on your preference. I think I might add a bit more next time too, because I just love the taste and smell of lavender. 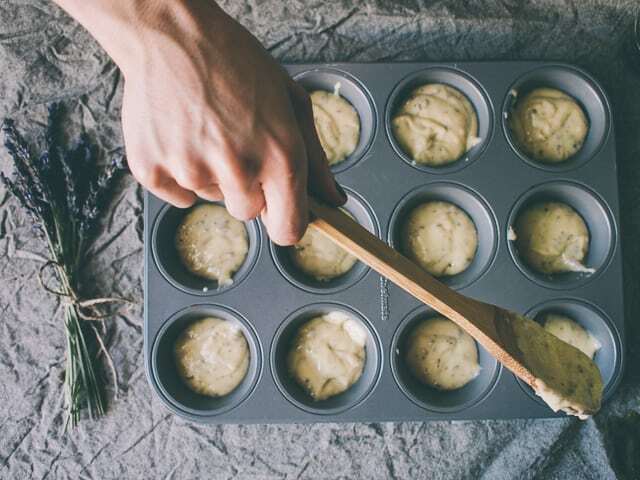 Once you’ve filled the cupcake tin with the batter, shave a bit of lemon zest on top of each muffin. When they’re done, let them cool a bit and then sprinkle powdered sugar on top. Enjoy with a cup of tea and homemade honey butter. You can make honey butter by mixing together 1 stick of butter (room temperature) with 2-3 tablespoons of honey. 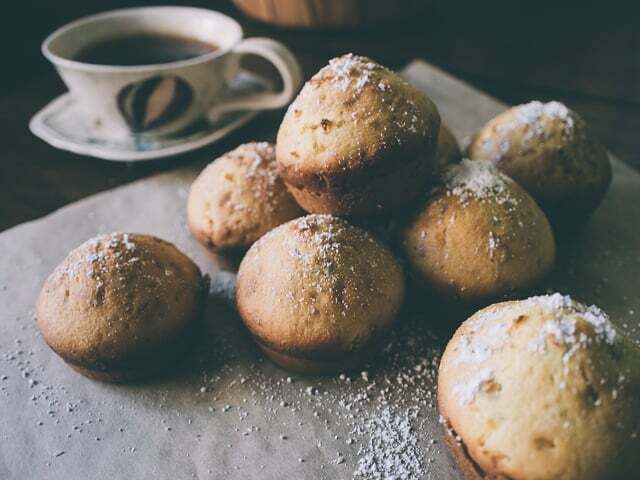 If you’re on a baking kick, check out our Butternut Squash Muffins, Apple Cream Cheese Muffins, and Pumpkin Bran Muffins (with secret ingredient).